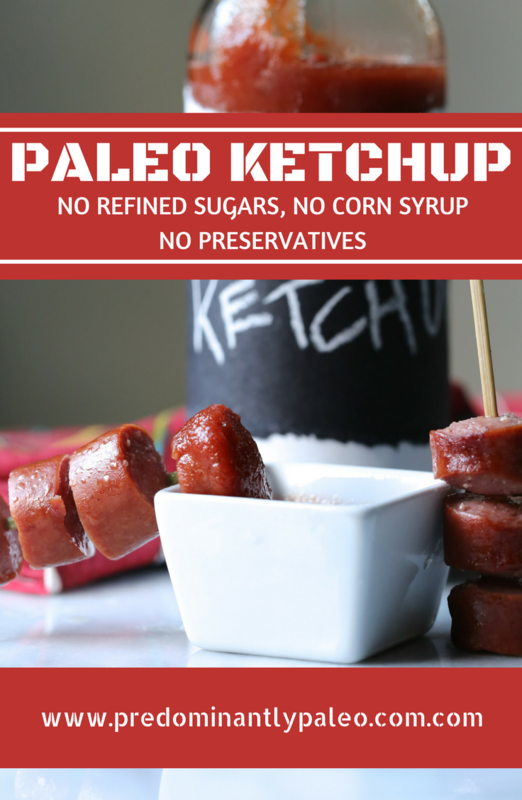 Refined Sugar Free Paleo Ketchup doesn’t need to taste like a tube of old tomato paste. Just the right seasonings and simmer will get you a new favorite of this timeless condiment! If you’d like to see what a nervous breakdown looks like, head on over to my house. I am entering one of those phases where everything you know comes catastrophically crashing together and yet somehow you have to figure out how to remember to breathe. 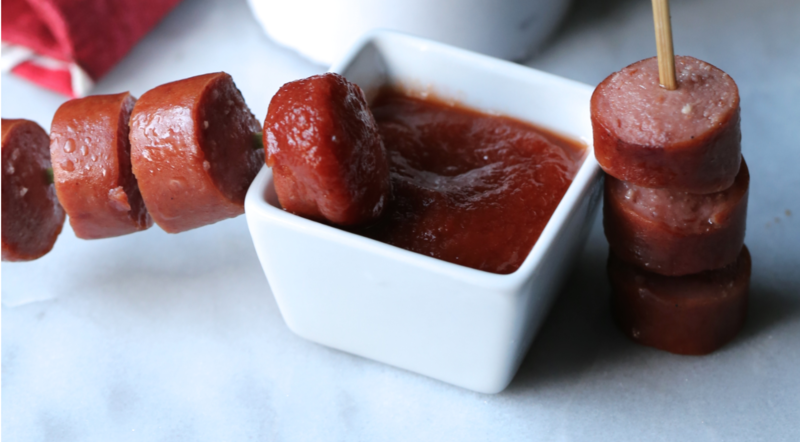 I know, it’s a little dramatic, but I swear I just produced a week’s worth of cortisol in the past 3 hours and my best coping mechanism is to sit down and share a recipe for refined sugar free paleo ketchup with you. I mean what even is that exactly? 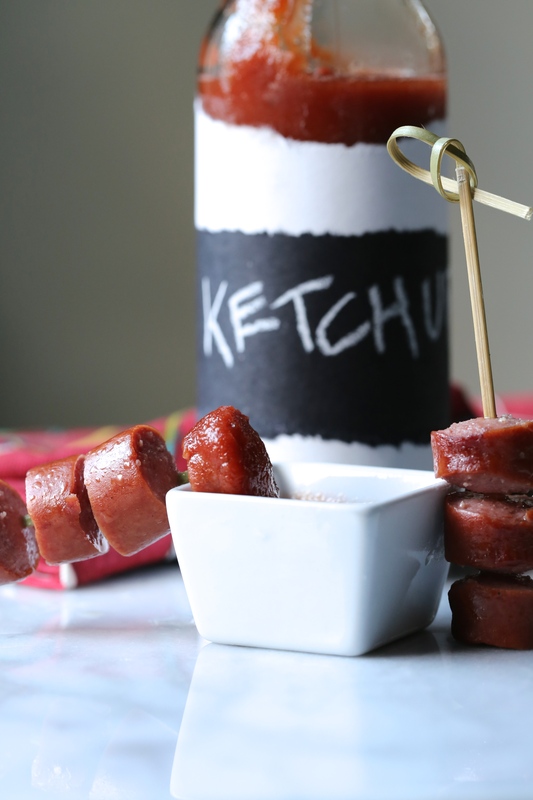 Ketchup is the answer? What is happening here. What’s happening is this, I first started this blog because I needed a place to pour all of my nervous energy, my fears of being so sick, and a place to create lemonade from rotten a$$ moldy lemons. And it helped. Sitting down and sharing with you is what brought back a sense of purpose besides medical research on “what natural herbs kill Lyme disease” – know what I’m saying? So as I started down the spiral of this week, grasping for something that feels solid and reassuring, I realized what I really needed to do was to share a recipe, something that is delicious, healthy, and brings us all together. Because that’s what food is, what food does. 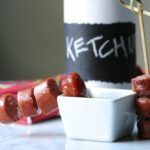 So enjoy my favorite recipe for ketchup, from Paleo Kids Cookbook in all of my hysteria, at least we’ve got condiments. Combine all of the ingredients in a medium-sized saucepan and turn burner on medium-high heat. Stir the mixture and once it reaches a boil, reduce heat to medium and allow it to simmer, covered, for 45 minutes. Transfer the saucepan contents to a blender, being careful not to splatter the hot mixture. Puree for 1-2 minutes and transfer to a glass container, allowing it to cool for 10 minutes before refrigerating. Keep refrigerated until ready for use.